John Duffield was christened 28 Jan 1798 at Saint Olave, Exeter, Devon, England. John Duffield baptised 28 Jan 1798, St Olave church, Exeter, Devon, England. Dedicated to Saint Olaf, an 11th century King of Norway who was martyred in battle. The church, located at the top of Fore Street was originally an 11th century chapel possibly built for King Harolds mother Gytha. Most of the existing building is late medieval. The church has a liberal Anglo-Catholic tradition. 12 June 1826 John Duffield of Butchers Lane, Plymouth, Cooper, son of John Duffield of Plymouth Dock, cooper by succession. John Hole Duffield arrived at the Swan River Colony, Fremantle, Western Australia, Australia, 12 mar 1830, Aboard the ship "Warrior"
John Hole Duffield arrived the Swan River colony 12 mar 1830 aboard the ship "Warrior". His family consisting of his wife Charlotte Duffield and children, John Hole Duffield (Jnr), Charles Hole Duffield, Samuel Bidgood Duffield and Lydia Charlotte Duffield arrived 28 Dec 1831 aboard the Ship "Egyptian". John Hole and Charlotte Duffield, James Hole Duffield, John Hole Duffield (1843) and Unnamed Duffield (1844) buried Karrakatta Cemetery, Western Australia, Australia. All share a grave in the Anglican FC Section, Plot 93. This is not their original resting place, The grave was originally located John Duffield died in April 1859 and was interred in the Alma Street cemetery Fremantle. He was later exhumed and transferred to the Skinner Street cemetery until his headstone was transferred to Karrakatta. The headstone reads: Sacred to the memory of John Hole Duffield who departed this life April 5, 1859, aged 62 Years, Surley the bitterness of Death is passed. Also his Grand Children, the two sons of J.H. Duffield Jun: The first aged 14 Months the Second aged 0 Months. Except ye be converted and become angelic children ye shall not enter into the Kingdom of Heaven. Also of Charlotte (Relict of the Above) who died Nov 8th 1865, aged 67 years. " Banns of Marriage between John Duffield and Lydia Bidgood were published on three Sundays underwritten. Sunday 10 August 1794, 17 August 1794 and 24 August 1794. St Mary Arches Church is located on Mary Arches Street, Exeter, Devon, opposite St Olaves Close. John Duffield Married Charlotte Foss 13 Sep 1816 at Charles the Martyr Church, Plymouth, Devon, England. 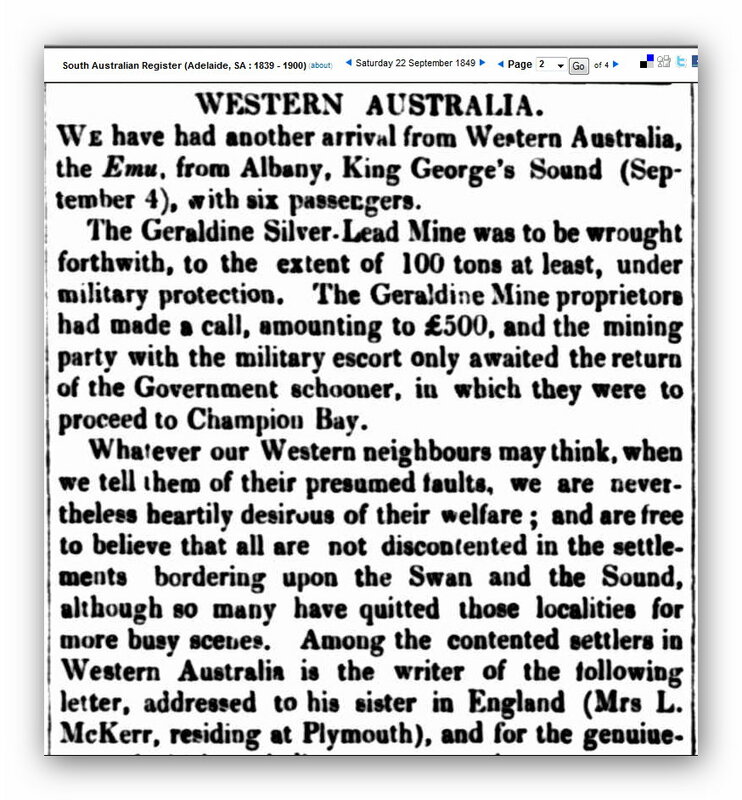 This newspaper article printed in the South Australian Register Newspaper, Saturday 22 September 1849, page 2, prints a letter from William Hole Duffield, to his sister Lydia McKerr (n. Hole). Which gives an account of John's life in the Swan Settlement. [S50] Duffields of Bicton 1776 - 1974, Oliver E. Duffield, (Lutheran Publishing House 10572011), 49 (Reliability: 2), 1974. [S325] Ancestry, England, Select births and Christenings, 1538-1975 (Reliability: 3), 28 Jan 1798. [S328] South West heritage Trust, Ref 2738A/PR/1/4 (Reliability: 3), 28 Jan 1798. See attached Devon Baptisms Transcription John Duffield. [S336] Exeter Freement 1266 - 1967, Devon and Cornwall Record Society, (JamesTownsend & Sons Ltd), 292, 351 and 357 (Reliability: 3), 1973. See attached extract from Exeter Freemen 1266 - 1967, pages 292, 351 and 357. [S329] Wags (Reliability: 3), 12 Mar 1830. [S21] W.A. Registrar of Births, Deaths & Marriages, Department of the Atorney General (Reliability: 3), 1859. Surname Duffield, Given Names John Hole, Age 62, Place of birth Unknown, Father Unknown, Mother Unknown, Registration Year 1859, Registration Number 1305. [S101] Headstone Inscription (Reliability: 3), 1859. [S523] St Mary Arches Church, Exeter, Devon, England, Parish Records, Church of England, (Findmypast, Devon Banns, St Mary Arches, Exeter), 1794, Page 23, Banns No.90 (Reliability: 3), 10 Aug 1794. 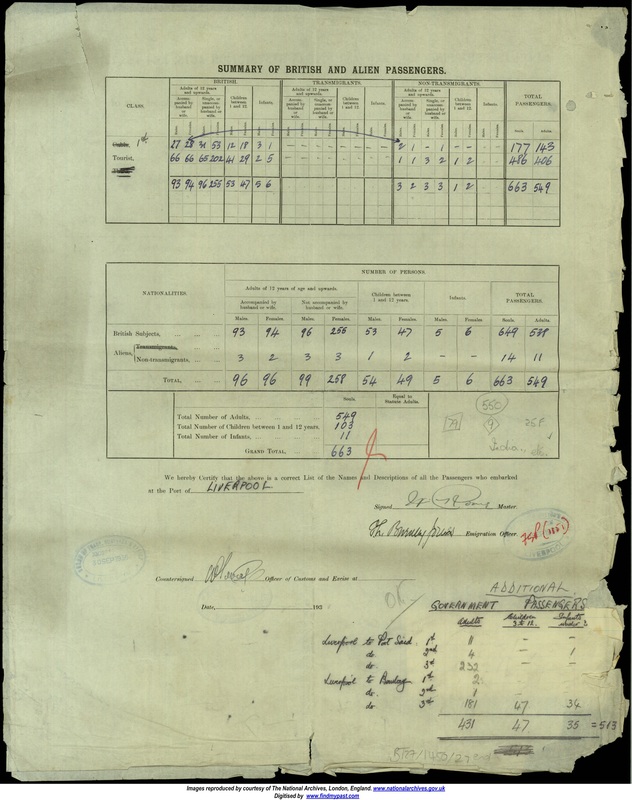 See attached copy of St Mary Arches, Exeter, Devon, England, Parish Records, Banns Register. [S523] St Mary Arches Church, Exeter, Devon, England, Parish Records, Church of England, (Findmypast, Devon Banns, St Mary Arches, Exeter), 1794, Page 23, Banns No.90 (Reliability: 3), 17 Aug 1794. [S523] St Mary Arches Church, Exeter, Devon, England, Parish Records, Church of England, (Findmypast, Devon Banns, St Mary Arches, Exeter), 1794, Page 23, Banns No.90 (Reliability: 3), 24 Aug 1794. [S52] Duffields of Bicton 1776 - 1986 Vol 3, Oliver E Duffield, (Lutheran Publishing House 205 Halifax St Adelaide, 5000. 86-1913), ISBN 0 9594692 1 4., 14 (Reliability: 2), 1986. See attached Marriage Certificate of John Duffield and Lydia Bidgood. [S328] South West heritage Trust (Reliability: 3), 7 Sep 1794. See attached marriage register entry and transcript. [S328] South West heritage Trust (Reliability: 3), 13 Sep 1816. John Duffield Married Charlotte Foss 13 Sep 1816, Charles the martyr Church, Plymouth, Devon, England. See attached Devon Marriages Transcription.